The Audio Desk Systeme Vinyl Cleaner is made in Germany and was first introduced in late 2009. These machines are among the very best cleaners on the market at any price, and were the first to offer ultrasonic cleaning. They use an environmentally friendly biodegradable alcohol-free cleaning concentrate mixed with distilled water, and have microfiber rollers. They have received excellent reviews in the Hi-Fi press, and one famous reviewer considers them the best cleaners available. See the review links below. The Klaudio KD-CLN-LP200 is made in Korea and is a newer entry to the ultrasonic cleaner market. It was introduced in May 2013 and differs from the German machines by using more powerful ultrasonic waves to clean the records with only distilled water, so no cleaning concentrate is used. There are no microfiber rollers in the design either, so no contact with the record surface other than the distilled water. The benefits of these costly machines have until now only been available to a very limited audience of those music lovers who could afford the major investment of $4,000 for each machine, plus operating expenses. By using Record Genie's cleaning service, you get to enjoy all of the benefits without the major up-front investment. Record Genie is committed to using the best available technology - As and when other automated record cleaning machines enter the marketplace, they can be evaluated for use. Note: All records are also demagnetized using a Furutech DeMag machine, included in the cost of single and double cleaning processes. The Audio Desk Systeme Vinyl Cleaner is made in Germany by Reiner Glass and was the first automated record cleaner to use ultrasonics. It has been offered in the US market since late 2009. The Klaudio KD-CLN-LP200 is a newer entry into the automated ultrasonic record cleaner market, and was first offered in the US in May 2013. See Gallery for more pictures. 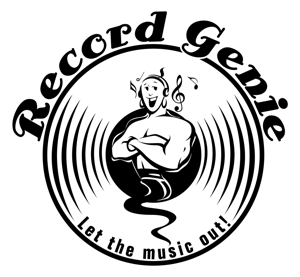 Copyright 2013-2016 Record Genie. All rights reserved.